One area I never compromise, is sunscreen. I have two little boys, who love to play outdoors and sunscreen is an absolute must. We apply sunscreen during the summer months on the daily. So choosing a quality, non-chemical sunscreen, that works, and isn't a pain to apply is high on the priority list. I have tried several natural sunscreens... and until recently have been very disappointed by the application of many natural and organic sunscreens. They are either thick, hard to apply, leave us looking like ghosts, etc. That was until I found the 100% Pure Yerba Mate Mist Sunscreen. This stuff is AMAZING! 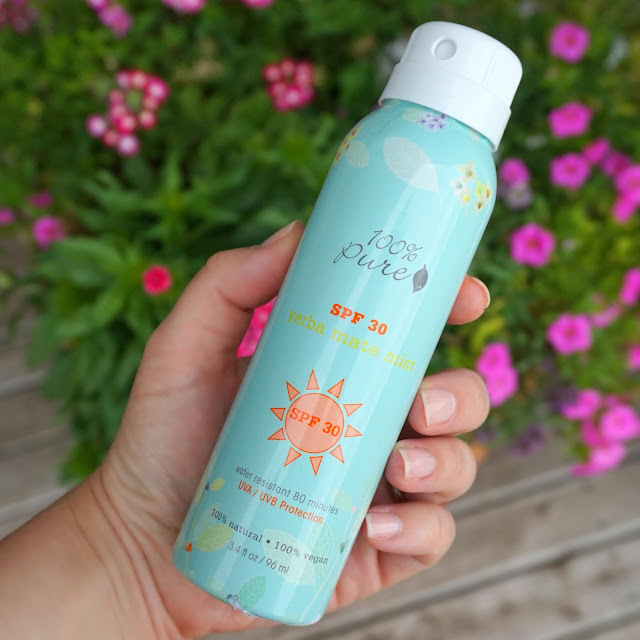 Hands down the best spray sunscreen! What's to love about this sunscreen? Super fine mist, that you barely need to rub in! Sappho New Paradigm Foundation Review + More!